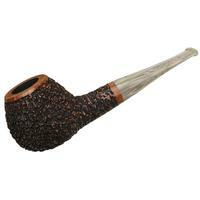 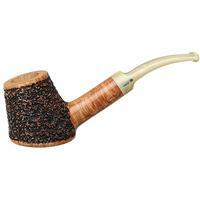 A firm and solid Billiard shape, this offering from Tonino Jacono is especially well-suited to his stimulating Knight rustication, to my eye. 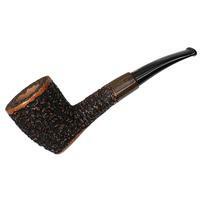 The textured treatment not only dresses the shape in something of a "suit of armor" to protect against invading dings, but the shape's grounded, firm-heeled Italian shaping takes on quite a pastoral, practically gallant sensibility, framed as it is here with warm, smooth-polished lines. 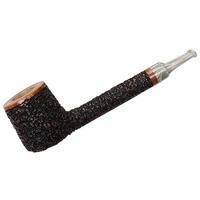 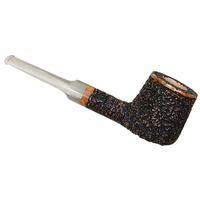 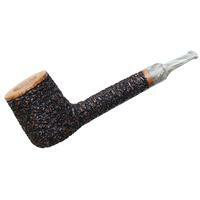 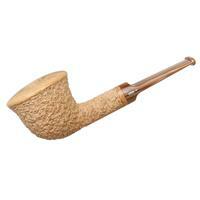 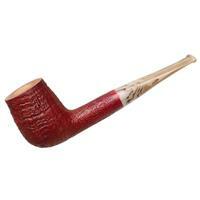 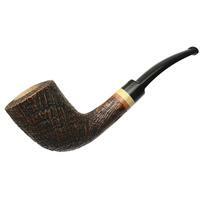 Together with its creamy acrylic saddle stem, it should make for a fine pipe to add to your collection.